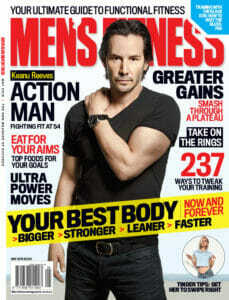 During a normal day we lose about two litres of water just through breathing, sweat, urine and bowel movements. When we exercise we can lose up to two litres per hour depending on the type of physical activity. 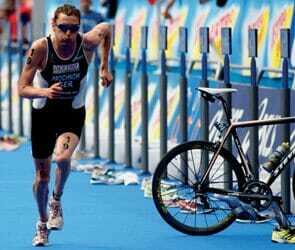 Just a 2% loss in body weight due to dehydration can reduce athletic performance by a staggering 20%. 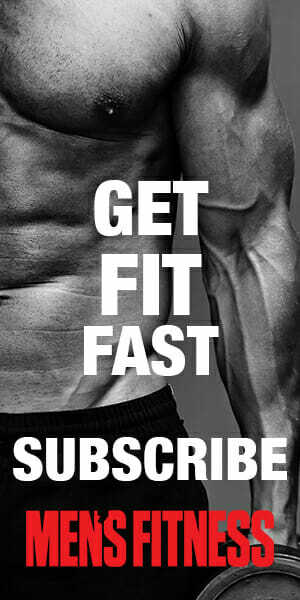 In addition, for every litre of fluid lost: your core temperature increases, heart rate rises, glycogen storedin muscles are used more rapidly, and lactic acid increases. 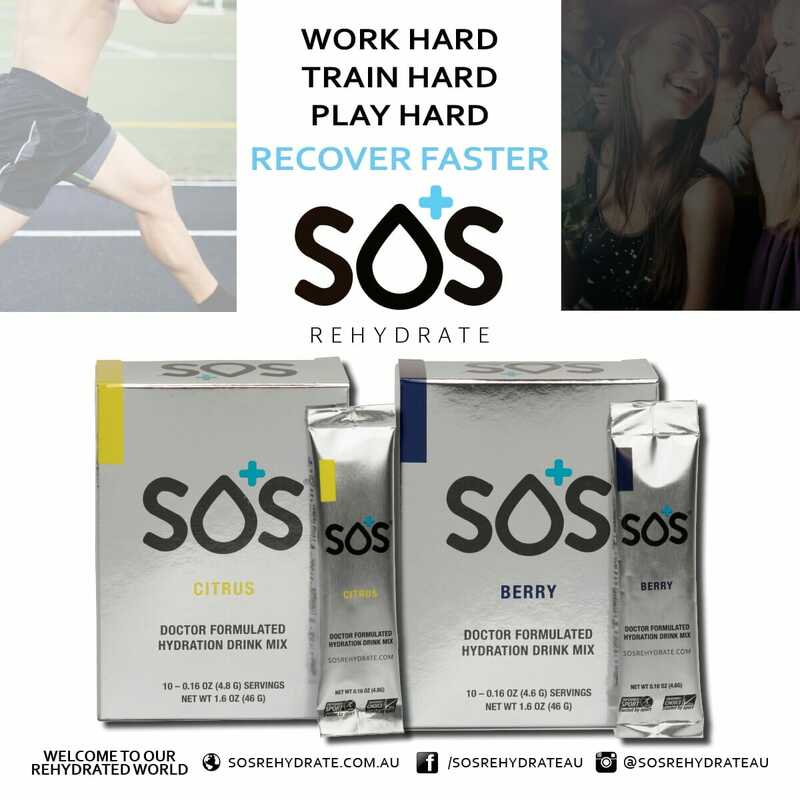 SOS is a fast-acting electrolyte replacement and hydration drink that helps combat dehydration caused by active lifestyles and physical performance. Sports drinks are ineffective at combating dehydration since they do not contain the correct amount and balance of electrolytes and glucose. SOS has the perfect mix of them for optimal hydration. 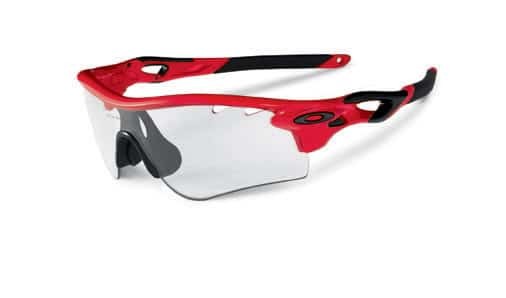 SOS is used daily by Olympians, professional sports teams and athletes, weekend warriors, and literally anyone with an active lifestyle – Check out the SOS Team here. 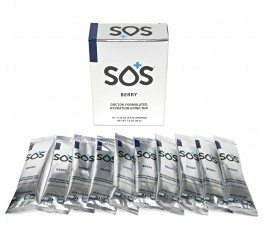 Coming in delicious Berry and Citrus flavours, SOS can be purchased from their online store at $21.99 for a 10 pack.